BUILT-IN LOT VALUE! 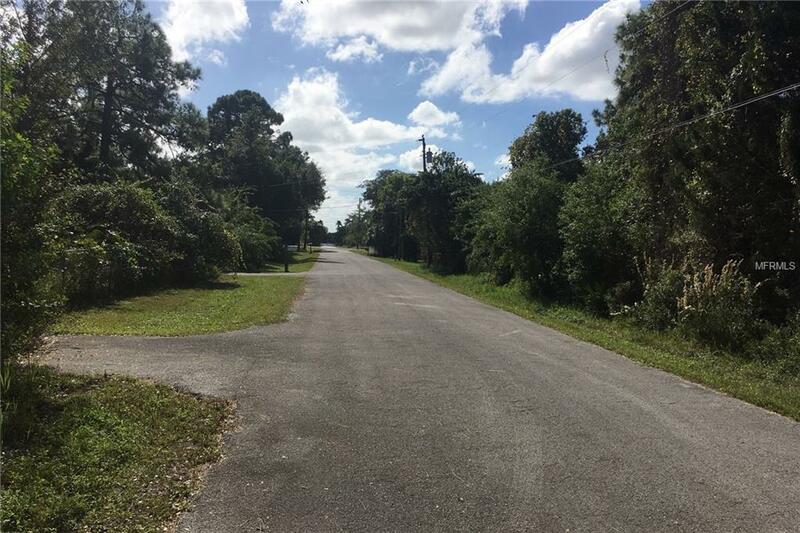 - 1) Pasco County Paving Assessments (that can easily exceed well over $20K) are paid-in-full - 150' lot-frontage is completely paved and accessible via vehicle. 2) Pasco County Impact Fees (required for development on any vacant lot) are greatly reduced, from about $16K, to a very nominal $3K range (due to a pre-existing residence). 3) Pre-existing water service at lot (only needs meter re-install). 4) Pre-existing electric service at lot (only needs new line-drop from pole). 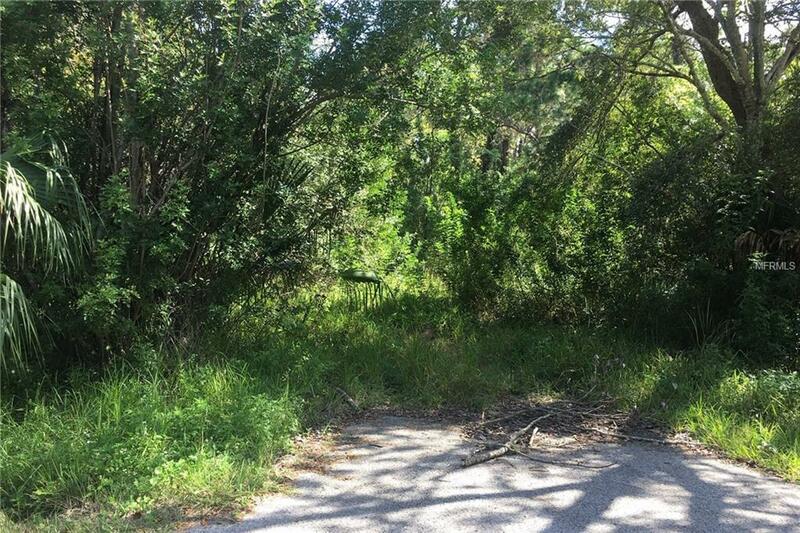 5) Public sewer available at lot (no need for septic system)... Large, wooded, 1.05 acre lot at very end of cul-de-sac location (dead-end street). 150 street frontage, by 305 average depth. West of US Highway 19 (Gulf side) - within 1/2 mile of Gulf waters. R-1MH zoning, with generous 35% building lot-coverage - mobile, manufactured, prefabricated, custom homes - all allowed. 26' x 61' cement pad remains on lot from previous manufactured home. Zoning requires a minimum lot size of 20,000 sq.ft. With a current lot size of approximately 45,750 sq.ft. 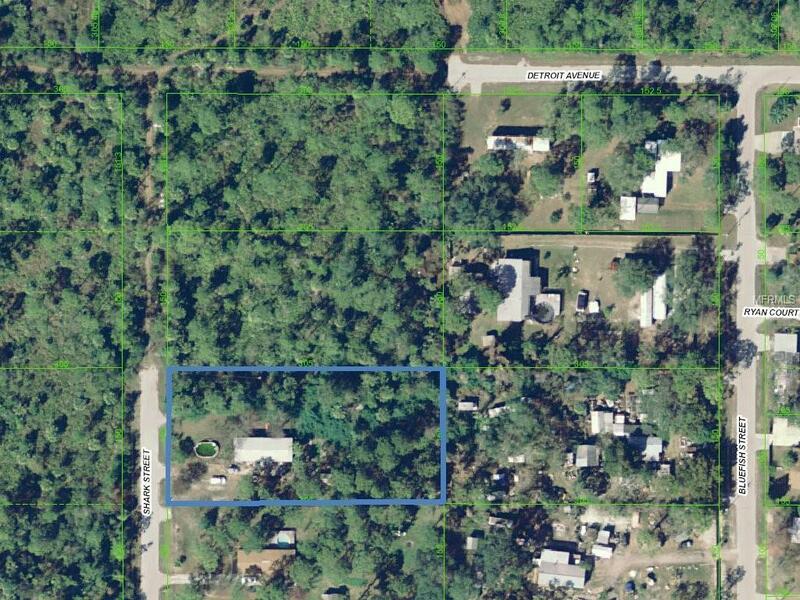 - a simple "lot split" application can be performed within Pasco County, avoiding formal "subdivision" fees/requirements - and create two, separate, buildable lots of over 1/2-acre each, with either a "flag-pole" deeded driveway to the rear lot; or a driveway-access easement over the front lot, to the rear lot. Flood Zone "AE. No HOA or CDD fees. 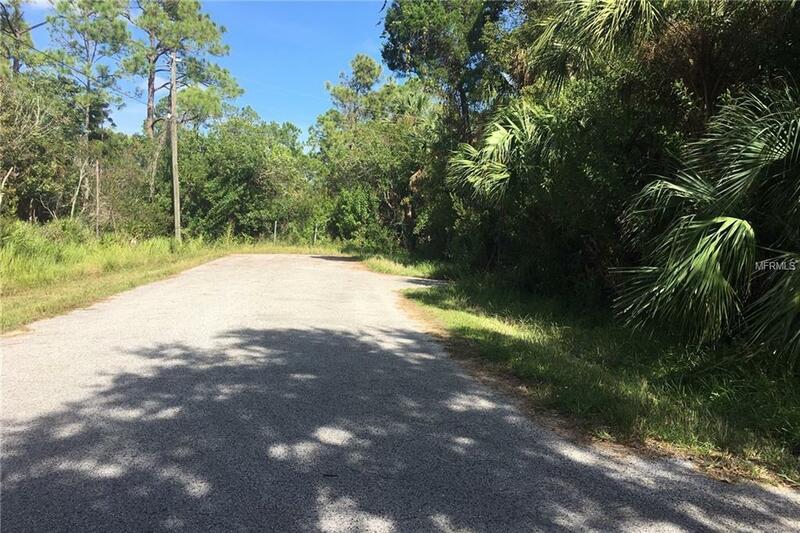 Buyer to independently verify any, and all, information and Pasco County planning and building requirements. Listing provided courtesy of Bobby Papadakis.